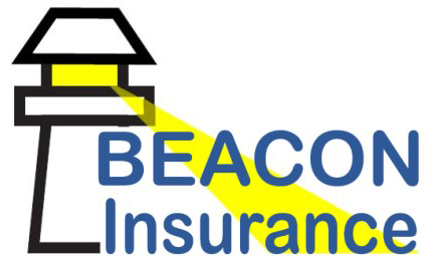 About Beacon Insurance Agency Inc. Dawn Collazo is an insurance Small Business Coverage Specialist (SBCS), certified by The National Underwriter Company, and has more than 20 years experience in cost-benefit analysis for risk management. She holds insurance licenses for property, casualty, life and health insurance. She holds a BS from University of South Carolina-Columbia and has lived in DuPage county since 1990. Susan Soldati has deep expertise in risk mitigation and holds licenses for property, casualty, life and health insurance. She is a Small Business Coverage Specialist (SBCS), certified by The National Underwriter Company, and has 20+ years business development experience with Fortune 100 companies, as well as small businesses. She holds a MBA from Benedictine University and BA from Loyola University Chicago. Susan has lived in the Fox Valley communities since 1990. Interestingly most people seem to work in the insurance industry by chance or because their families did, so as the founders of Beacon Insurance Agency we are often asked, "Why?" There are a couple of reasons. First, we have a passion for taking the technical yet mundane everyday products and creating unique solutions that create great value for our clients. And being transparent along the way, so our customers know what is and what is not included. We believe businesses ought to be able to focus on what they do best. Second, our consistent drive for customer satisfaction means anything from promptly returning a phone call to embracing new technologies to not being afraid to challenge "how it's always been done" in order to give our clients what is best for their specific situation. We believe trusted relationships build success. To us, insurance is about preservation of our clients' hard-earned assets and minimizing or avoiding dangers. A beacon serves as a guiding light, a warning signal from an elevated position that can shed light (and transparency) upon a situation and even inspire and bring cause for celebration. Knowledge: We are committed to taking a holistic approach in understanding what your goals and priorities are as there are always trade-offs in determining what risks you will insure versus carrying yourself. We will advise you on how various insurance products and services will support your goals by surveying the market and bringing back the best options for your review. Service: We are committed to providing service beyond your expectations with the highest level of integrity and professionalism reflective of a world-class organization. Advocacy: We are committed to being your advocate. As an independent agent/brokers we are licensed by your state and carry the responsibility to put your interests over and above any particular insurance company's interests, and over and above our own. Our goal is to take the mystery out of insurance and make it practical for you. Susan and Dawn are both involved in local community service and support. For example, Susan is a Court Appointed Special Advocate (CASA) in Kane County, IL advocating for the rights and wellbeing of children.